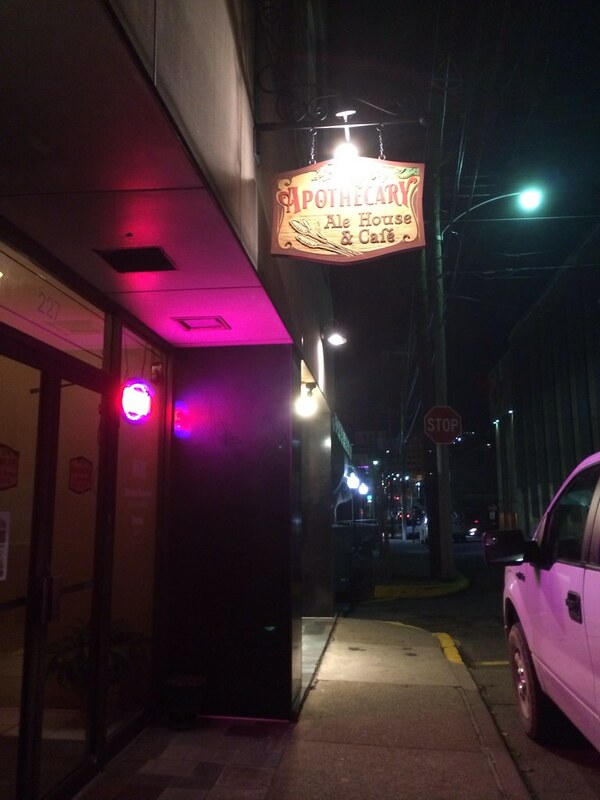 Just as Jay's Daily Grind changed to The Grind WV, former Jay's Getaway changed to Apothecary Ale House and Cafe. I'm not sure who Jay is, but it seems as though he's sold both of the restaurants in town that bear his namesake. Jay must be a hipster, because both of his places are great. And luckily, they both seem to be doing well even after the trade. 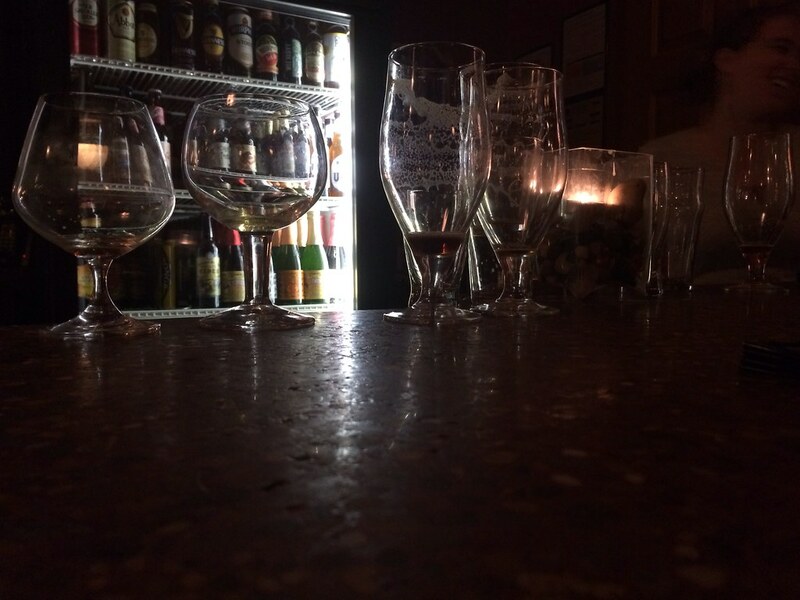 Rumor has it that a previous bartender took over Apothecary, so that would be a good thing. Always nice to have people who know what they're doing running the place. So Apothecary isn't much different - from what I remember - at Jay's Getaway. It's still a super cool, laidback vibe with friendly bartenders. Have no idea what you're doing and want to try something new? Ask them. They're not judgey, so it's the best place to learn about craft beer. Speaking of, they have one of the best selections in town. 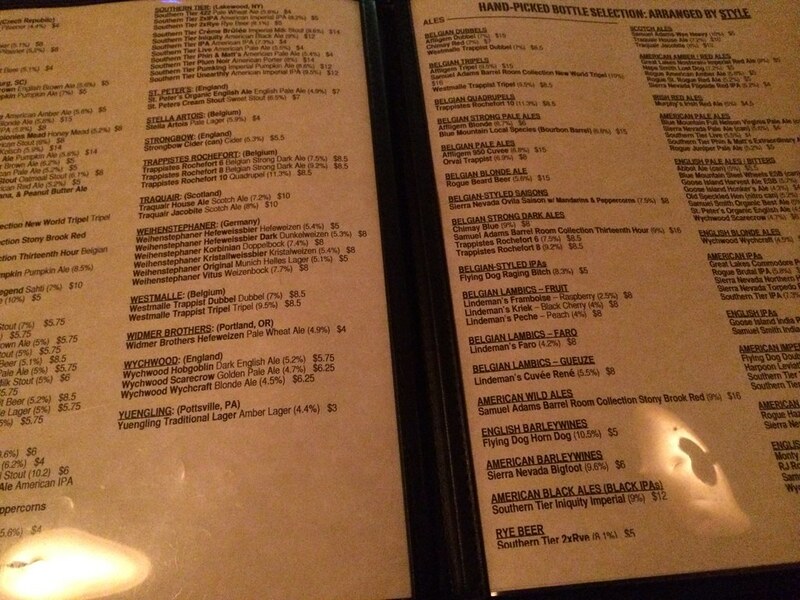 The beer menu is pages long. 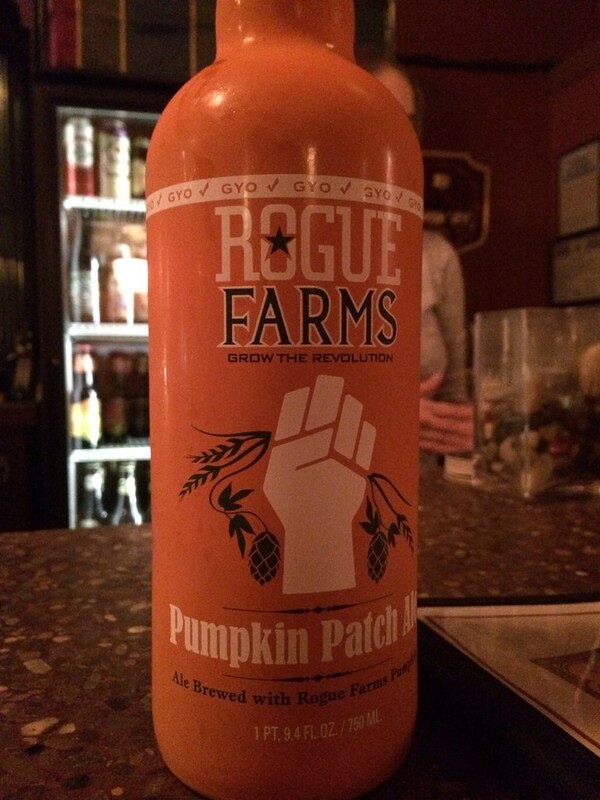 I've had a bunch of different kinds, including the Rogue Farms Pumpkin Patch Ale most recently. Yum. They even give you which fancy glass accompanies your beer. I won't try to pretend like I know the difference, but it makes me feel hip. The crowd here is what makes it for me, I think. Not like most of the other bars downtown. Rather, it's mellow. And a little older than undergrads. And I appreciate that. There's a board showing what they have on tap, and it changes regularly. Also, they have a set of index cards that you can create one iwth your name on it and document all the different kinds of beers you've had. The ones with the most are showcased on a leaderboard. So, that's cool. There's a very limited food menu which consists of a few appetizers and paninis.Appetizers include things like an olive, pepper and cracker platter, a pepperoni roll, basket of kettle chips, pretzel with beer cheese and pretzel with mustard or bleu cheese. 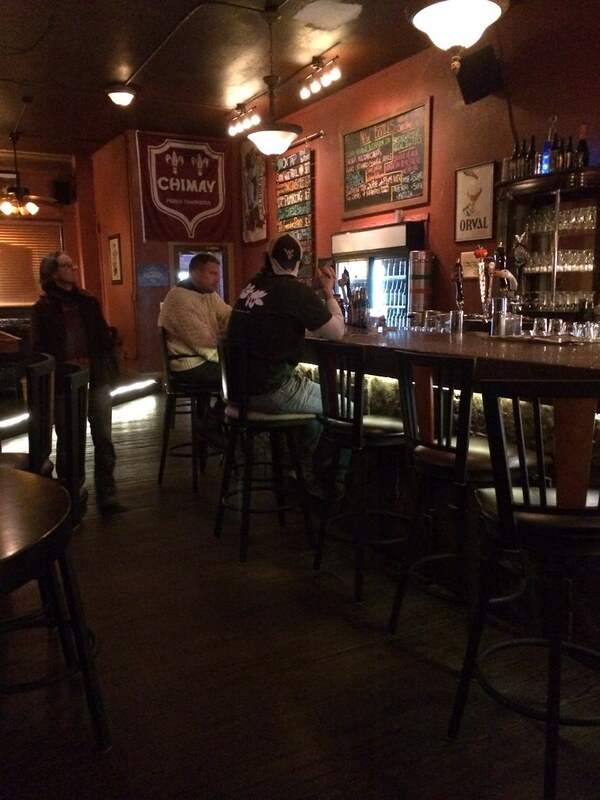 Their kitchen seems to be this teeny, tiny corner of the bar, so it's nothing extravagant. 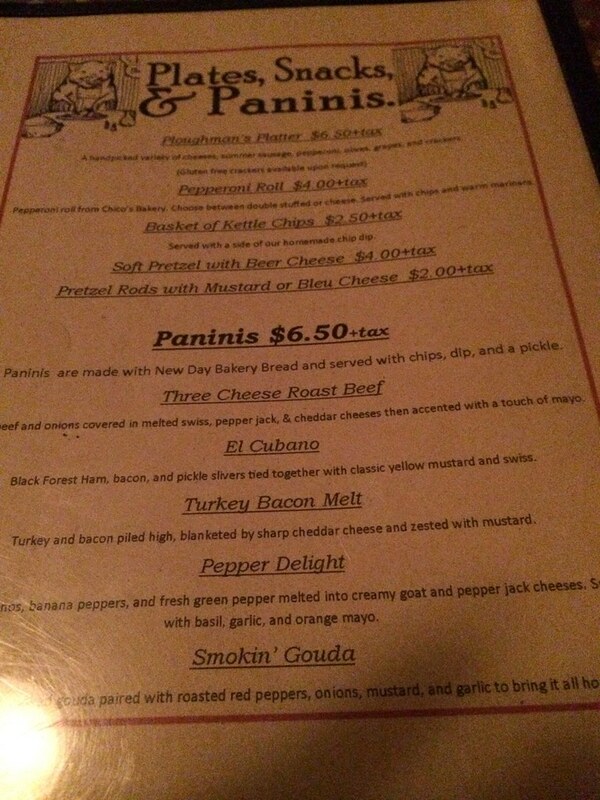 Paninis include a three cheese roast beef, a turkey bacon melt, a pepper sandwich, a gouda sandwich and a Cuban sandwich. They're all essentially lunch meat on New Day Bakery Bread, with chips, dip and a pickle. I ordered the three cheese roast beef was pleasantly surprised with my panini. 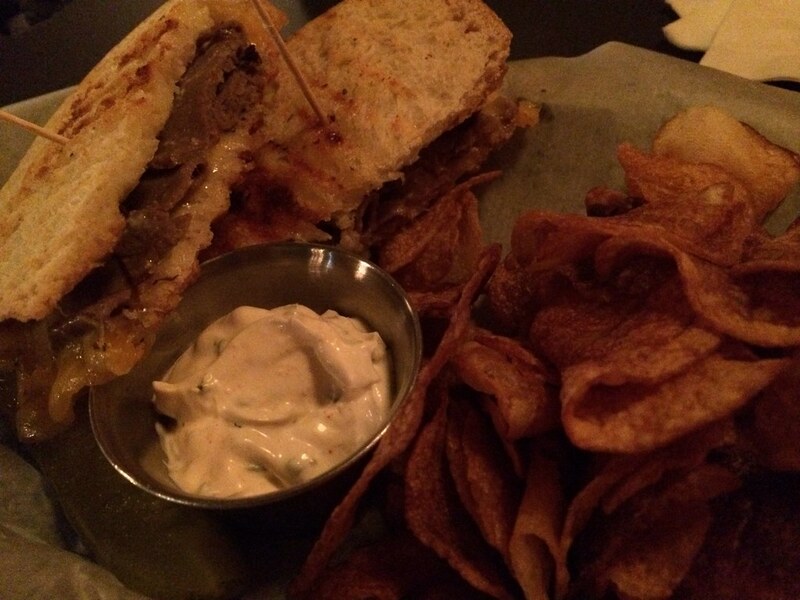 It had roast beef and onions, melted swiss, pepper jack, and cheddar cheese and mayo. It's simple, but it was actually tasty. And I wouldn't really put mayo on roast beef, but I will from now on. I also love love that the chips have dip with them. Otherwise, they probably would've gone to waste. Fairly solid, simple sandwich. For specializing in beer, these sandwiches are not to be overshadowed. 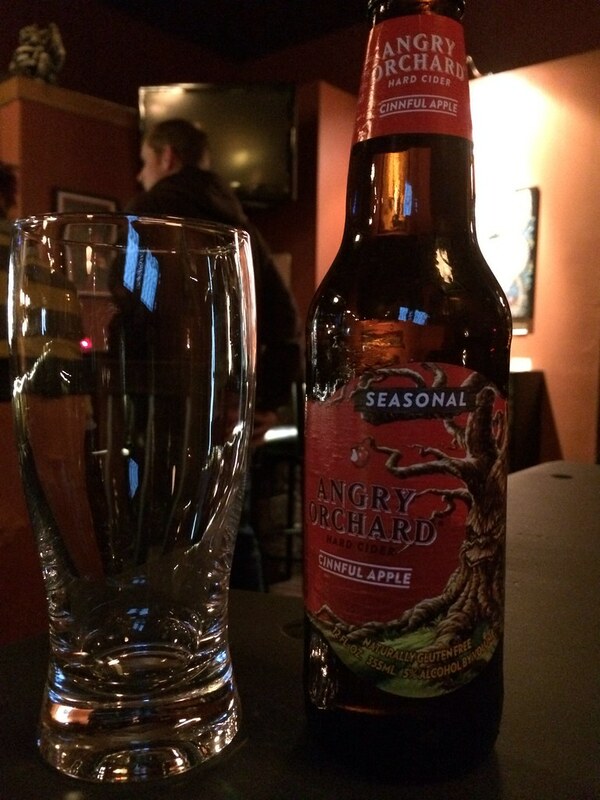 They're good and are a perfect addition to any beer. Maybe that's supposed to be the other way around .. Nah.